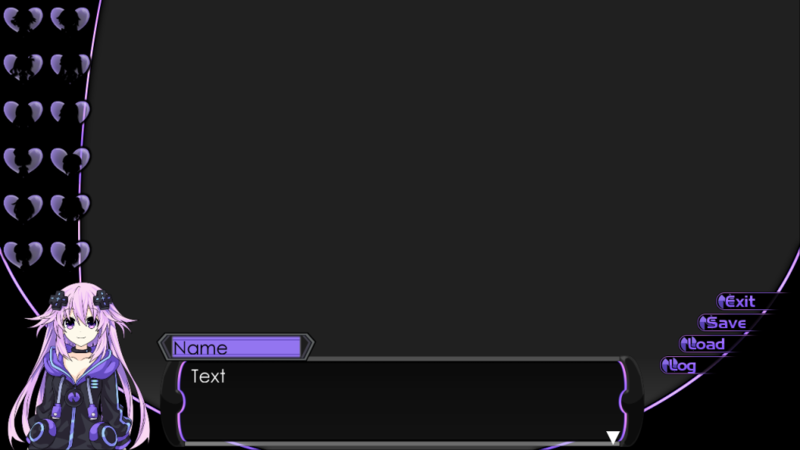 I just started to Paint the character sprites so it could take a while, but i will update the character section of this side every 2 or 4 characters^^, for the story i have a .. well … more or less good picture but well, at least i know how the Visual novel should start and thats more than nothing^^. This little … hopefully big…. 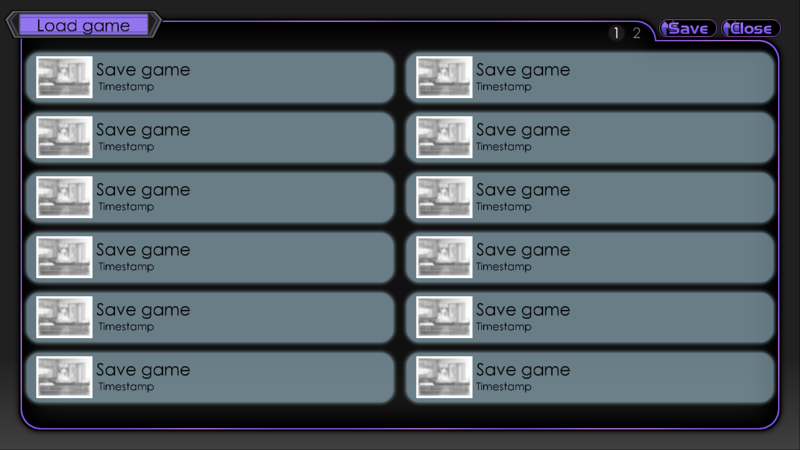 Visual Novel takes place in a completly new Dimension. Our Main Character, the Adult Version of Neptune, who was jumping though a dimension accidentally came here, not knowing that everything here would be giantic to her, she starts at a height of (for the other girls) ~15cm and will get even smaller later. 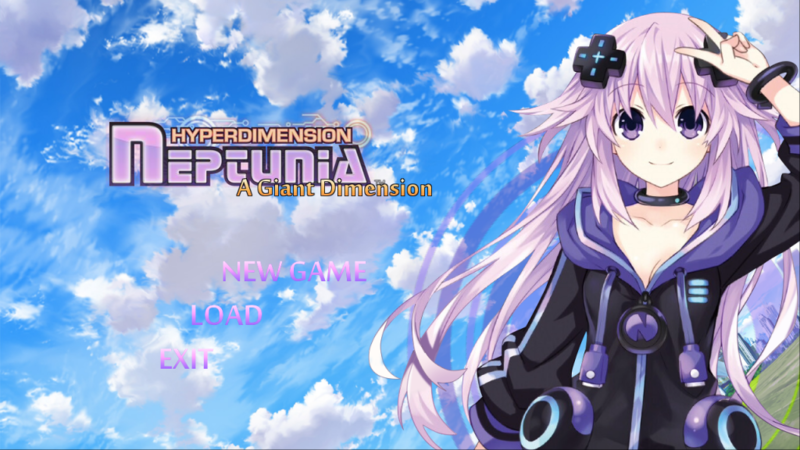 Our Heroine will be the version of Neptune from Ultra Dimension (Plutias Dimension), who travels to different dimensions while carrying “Nep’s Note”. 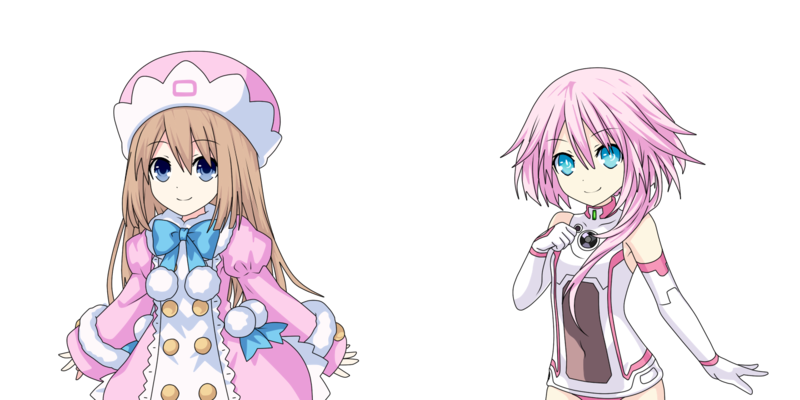 In the dimension where the story is set, she will be tiny in comparison to everyone else. 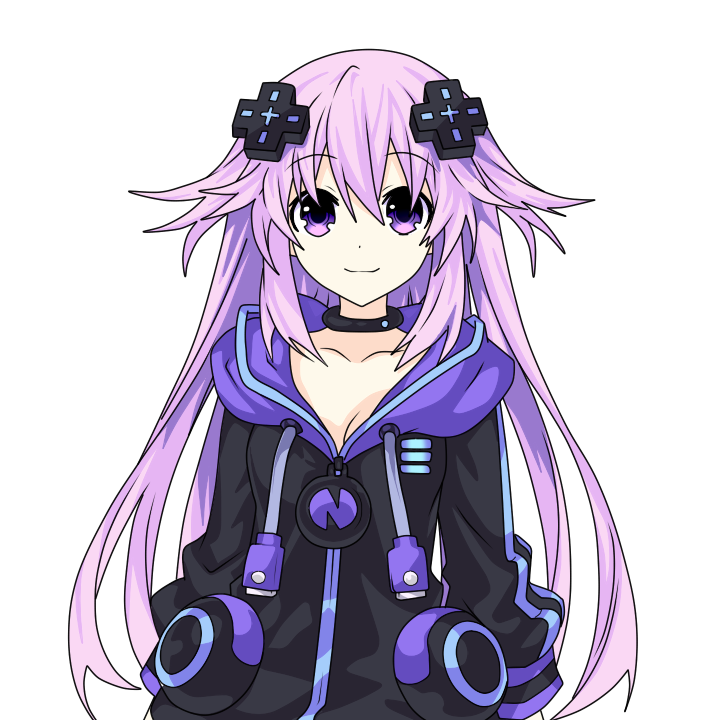 Her personality should be similar to the Neptune we all know, as innocent and simple-minded as always. 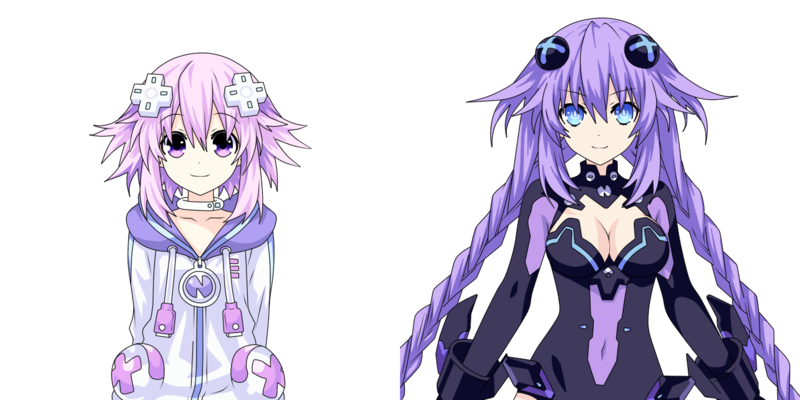 Her personality will be somewhere between that of the normal Neptune’s childlike attitude, and Purple Heart’s adult attitude. 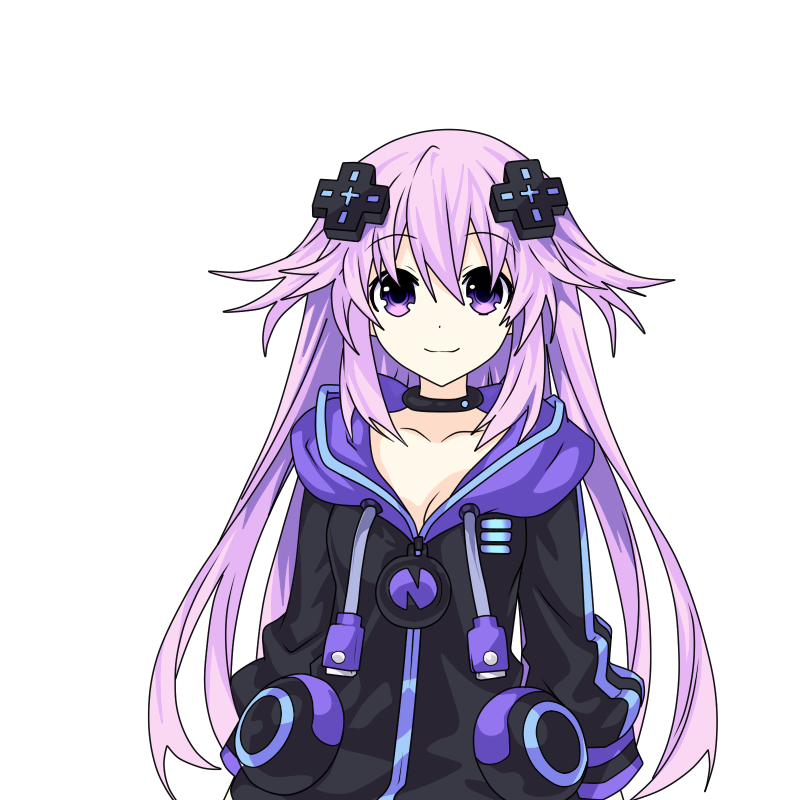 Neptune is a cheery, excitable girl with a strong sense of justice. Her ditzy personality can cause her to be rather careless at times, which can work out well or land her in serious trouble. She makes friends easily due to her friendly demeanour and often gives her friends cute nicknames. People admire her optimistic outlook and confidence. She never gives up or backs down when the going gets tough, and she makes sure to see her goals through to the end. 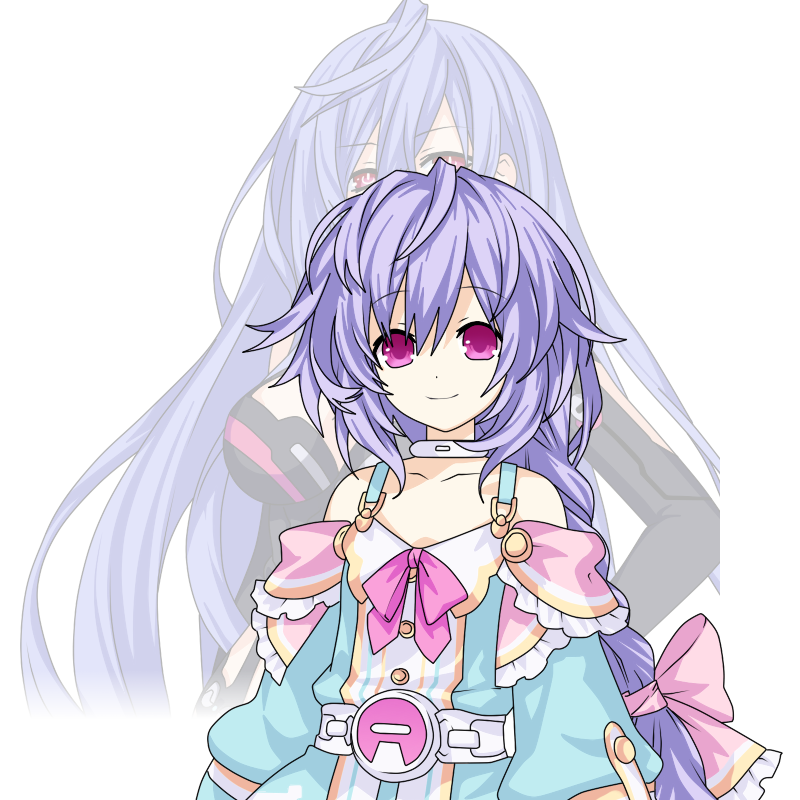 Plutia is a very calm person, to the point of seeming tired most of the time. She is kind and somewhat of a ditz, but with some sadistic tendencies. 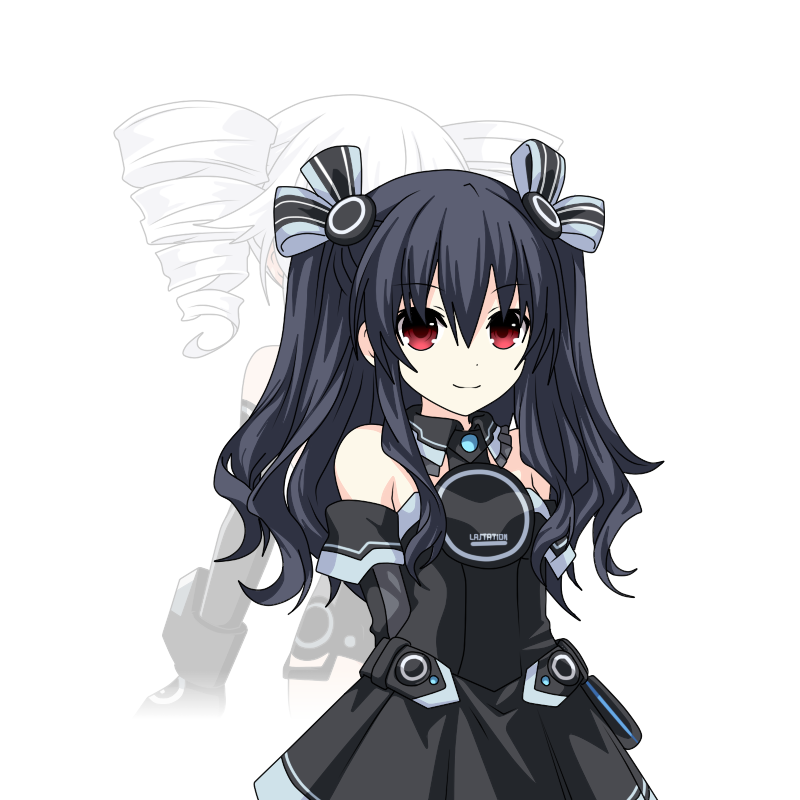 Much like Neptune, she tends to ignore her duties as a goddess, spending most of her time either sleeping, making dolls, or playing with Neptune. 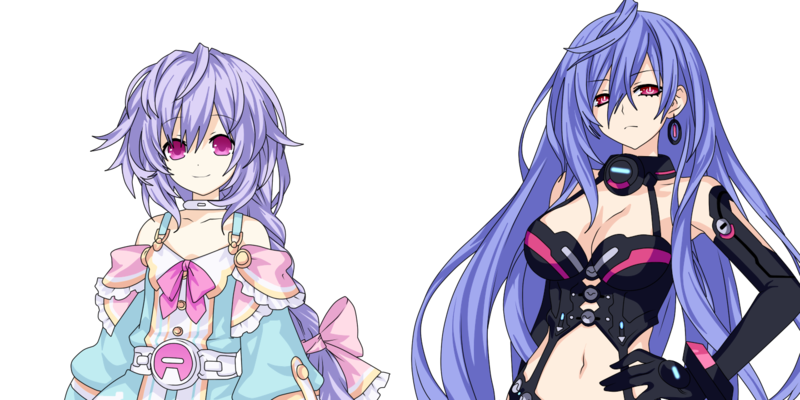 Plutia, like Neptune, also makes friends rather easily due to her relaxed and caring nature. 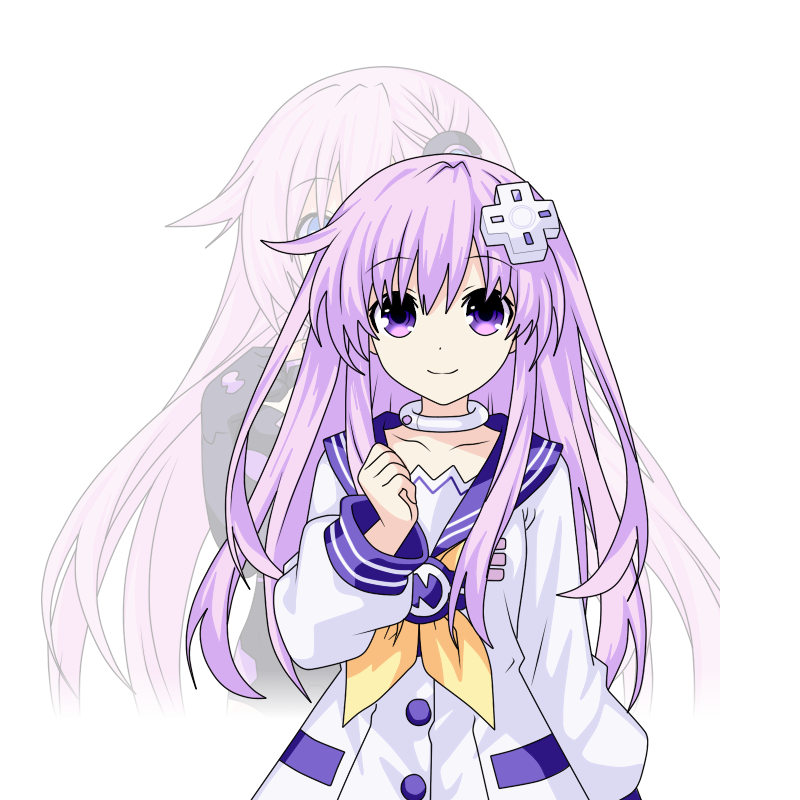 Nepgear is a very kind and genuine girl, but she can lack the self-confidence to do what needs to be done from time to time. 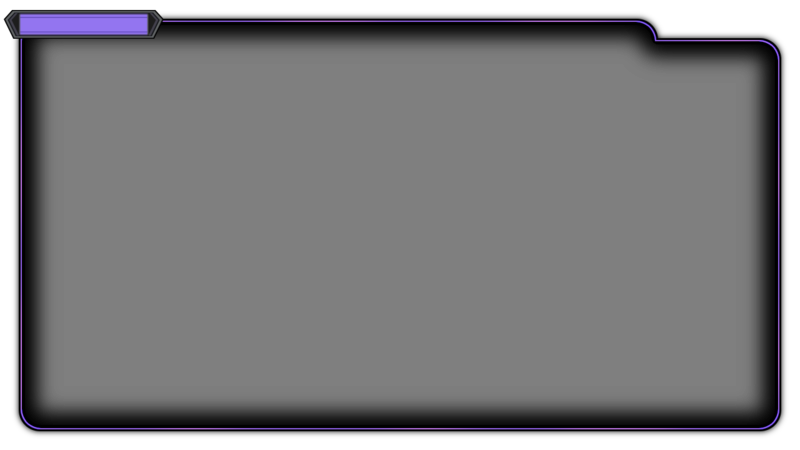 As a result, this can lead her to be pushed around, and if not she has to be constantly encouraged by her party members. 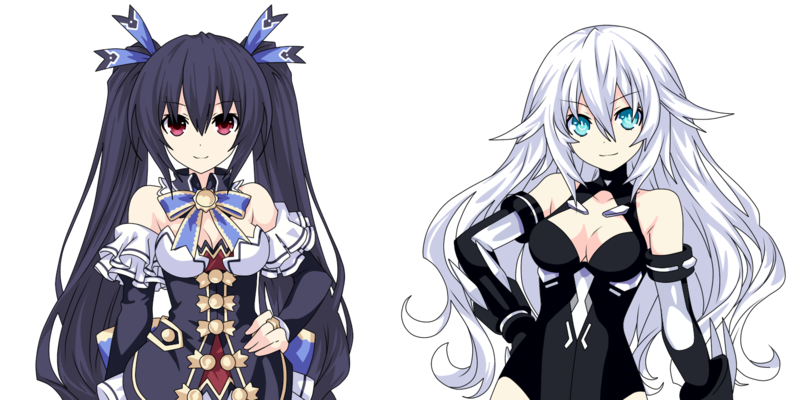 Noire and Noa are, for lack of a better word, tsundere. Both of them think highly of themselves and strive to be number one in everything that they do. They often do and say odd things, but try to pass them off as if there is no hidden meaning behind their actions. It is possible that they are caring people at heart, but they mask it with their snobby and arrogant attitudes in the hope that people will not see through their façade. 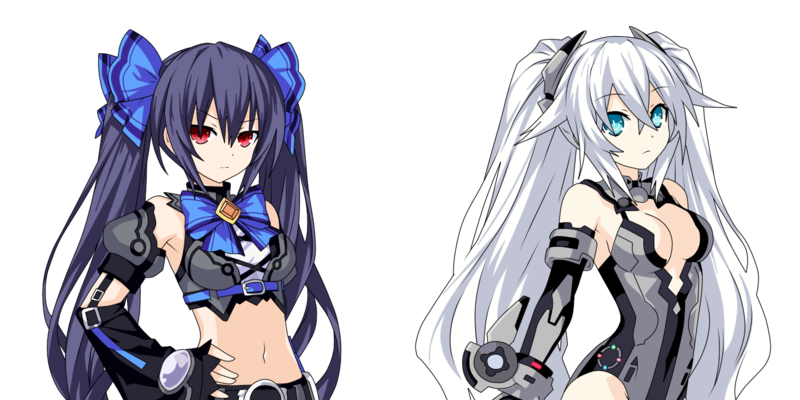 Uni is similar to Noire and Noa, in that she shares the tsundere factor. 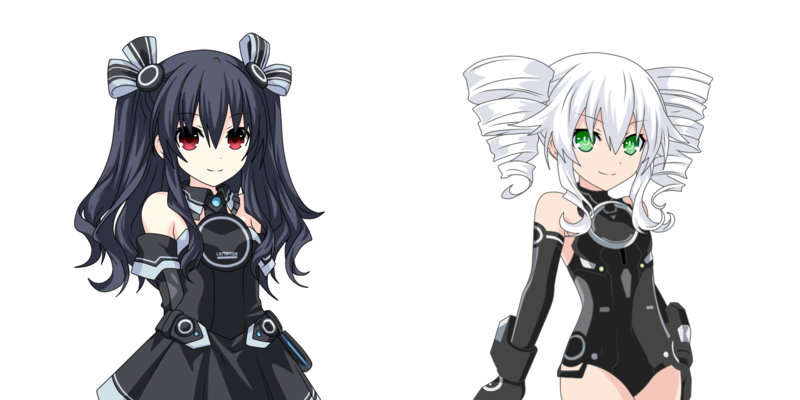 Hovever, Uni seems to be much friendlier and a lot less arrogant overall, due to her inferiority complex that she has from striving to be as flawless as her older sisters. 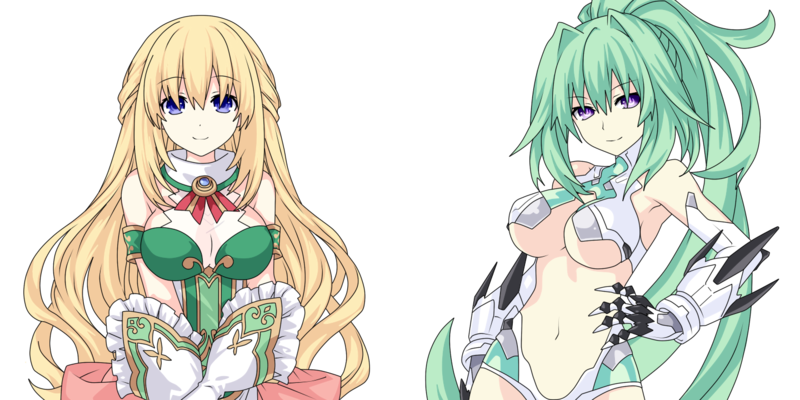 Vert and Beru are kind, mature women who often act as the maternal role of the CPUs. 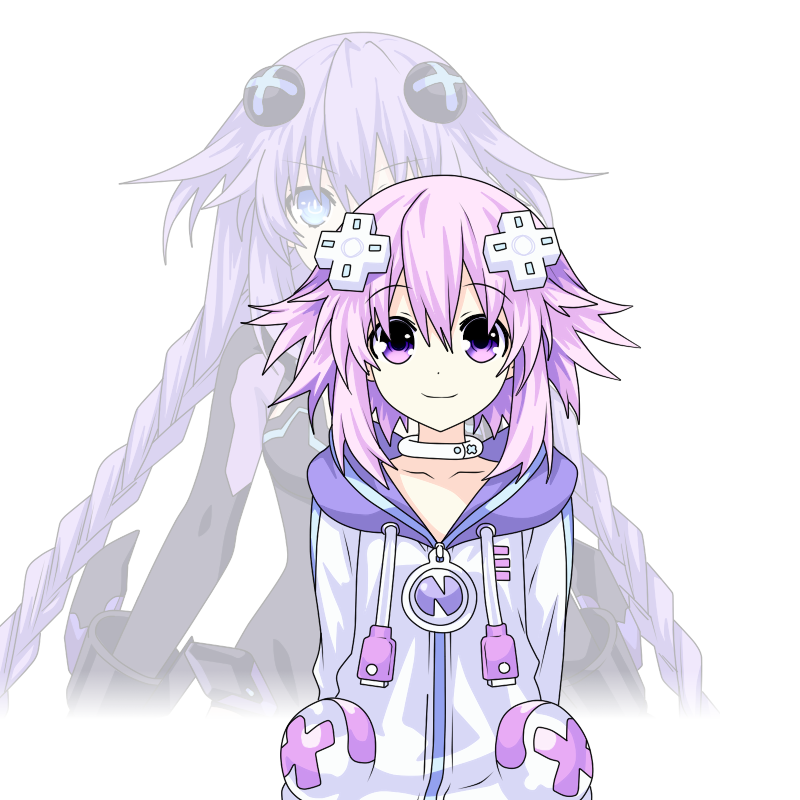 They care deeply for the others and are very wise, but can also be playful at times as well. 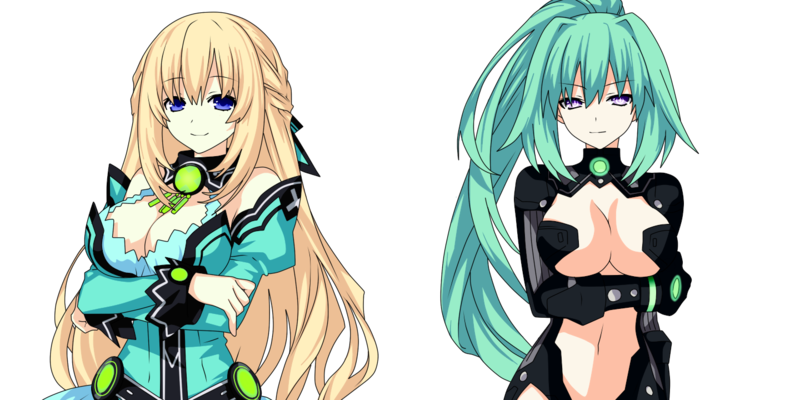 They are the most level headed of the goddesses, most of the time. 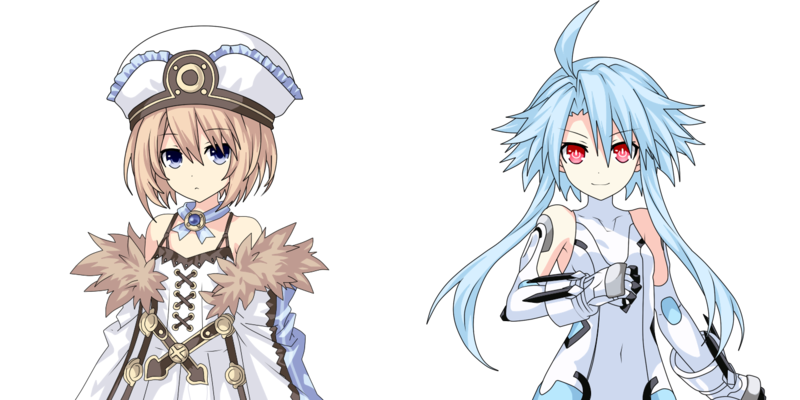 From first appearances, Blanc and Kuuhaku seem to be quiet and introverted girls. They normally speak with soft, calm voices and seem extremely innocent. However, under this delightful exterior they are foul-mouth and easily angered people. They swear frequently and insult people directly when they get pissed off, or just generally don’t like those they are around. 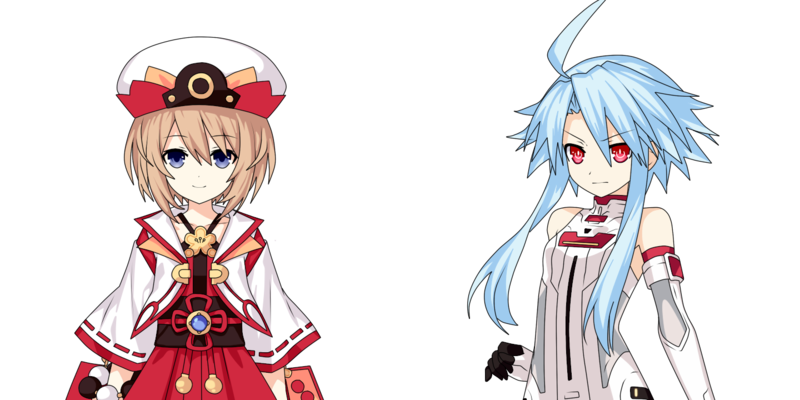 Blanc and Kuuhaku seem to be a lot calmer than the White Hearts. 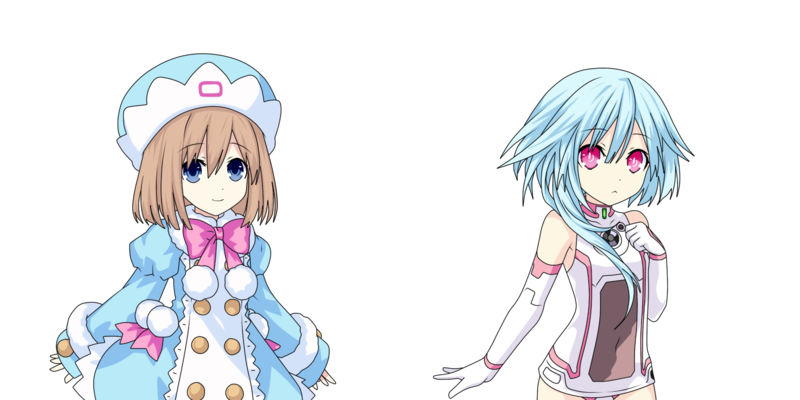 Rom seems to be reserved and the more shy of the two, as she doesn’t say much. 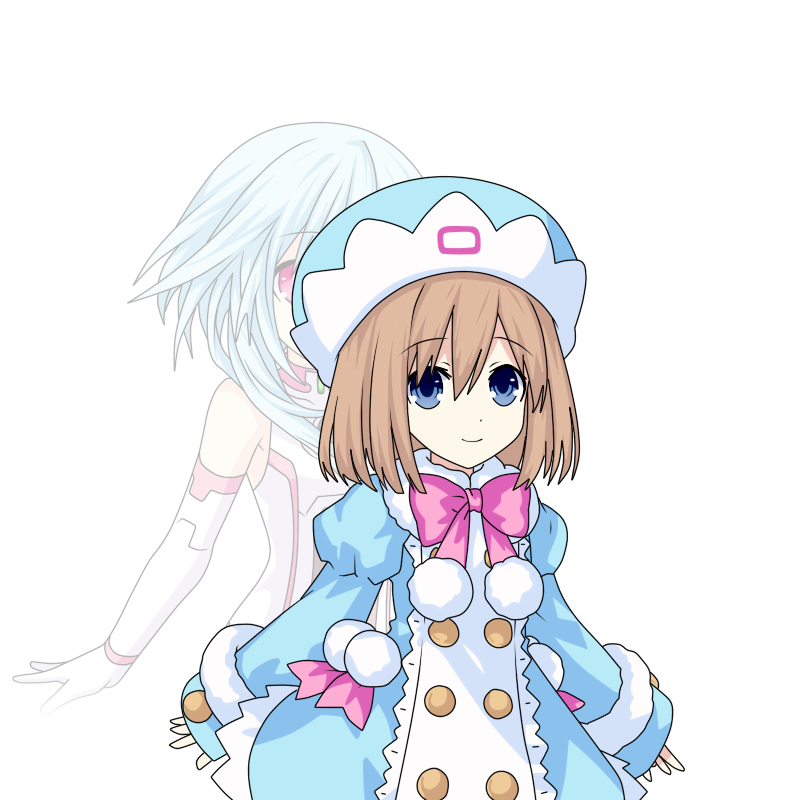 Rom sometimes gets upset or nervous by how Ram acts, but otherwise Rom will let her do as she pleases. 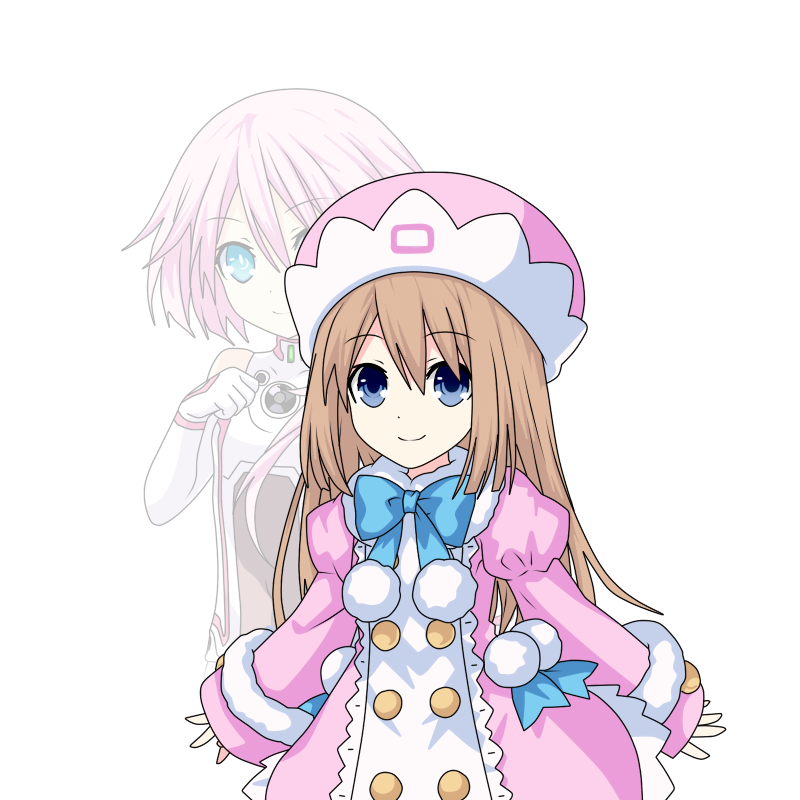 Rom has also shown signs of free will however, such as when she wanted to help Nepgear, despite Ram’s objections. 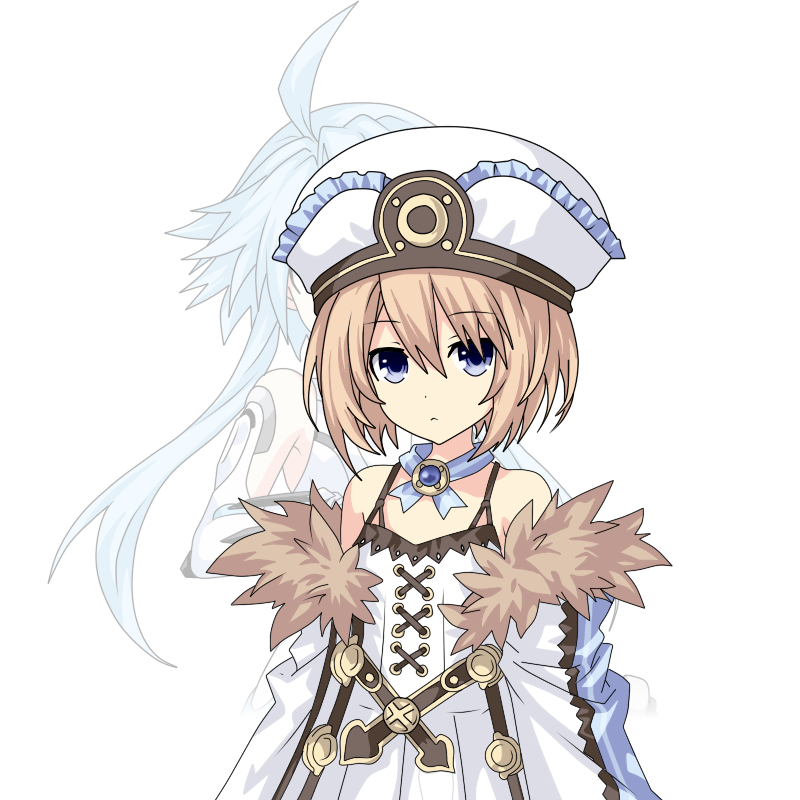 Ram is the one who is most like Blanc in terms of her personality. 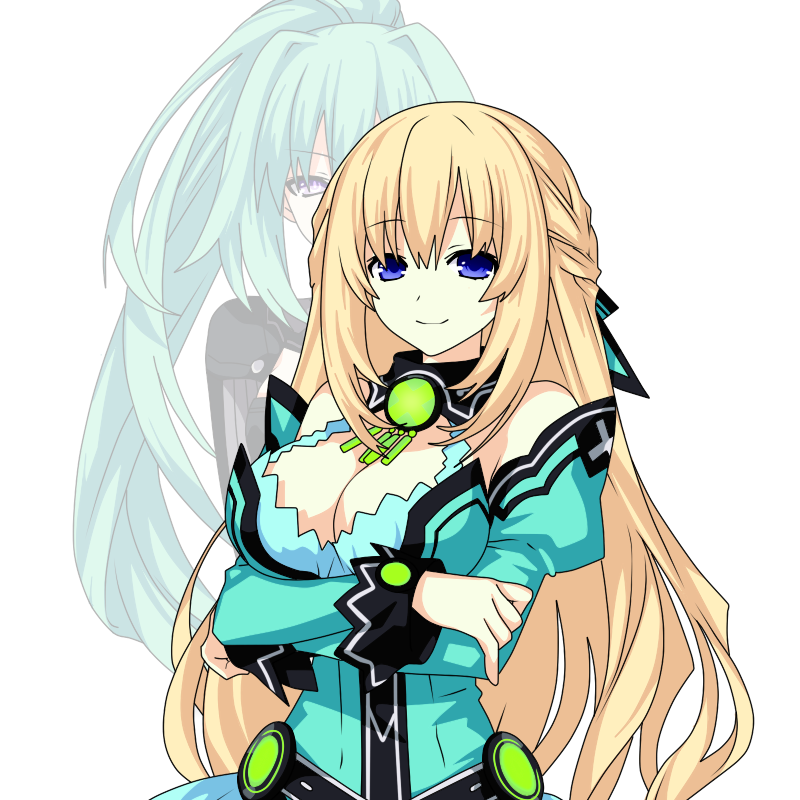 She is usually seen smirking and likes to touch or get ‘playful’ with Rom, so she is often considered the dominant one of the twins. 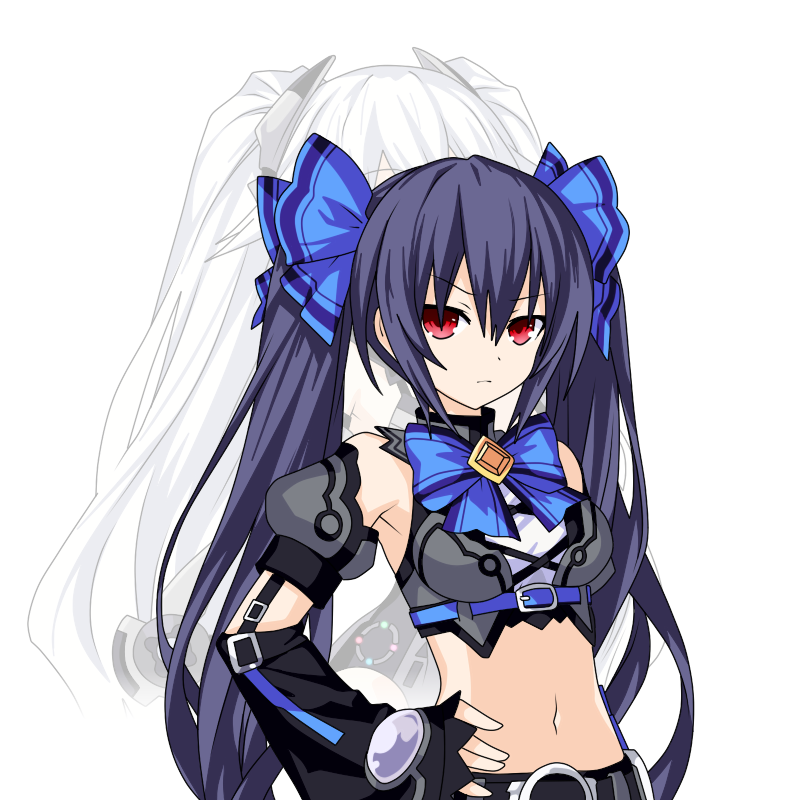 She also has a bit of an attitude at times, and quite a short fuse as well. 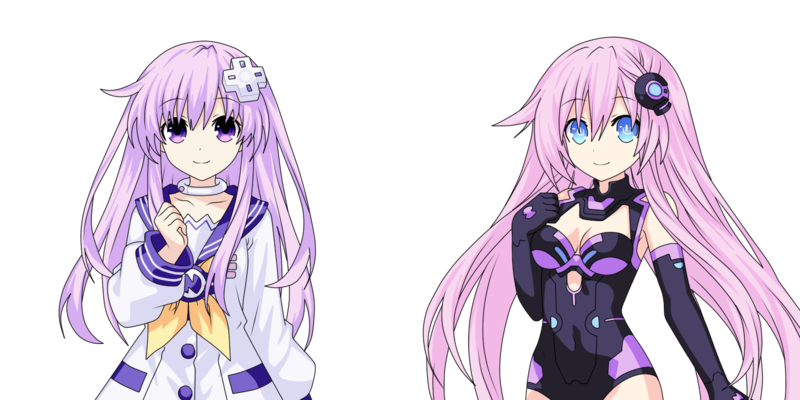 In Victory, it is clear that she is jealous of Nepgear, who Rom seems to like more, and refers to Neptune as “Nepgear’s sister”. 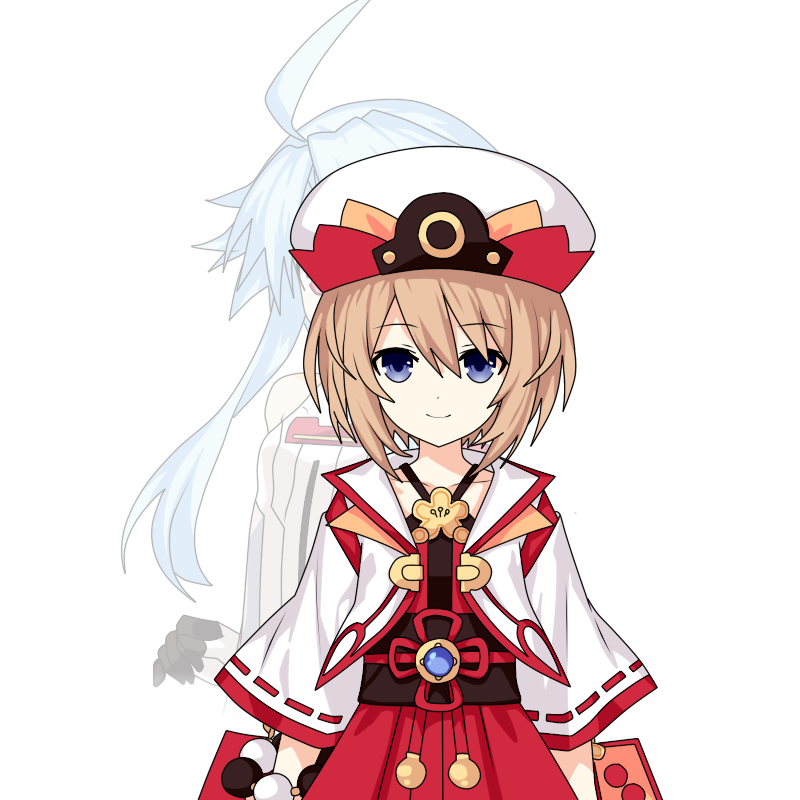 She sees herself as stronger than Rom, such as when she kept a straight face in one bad ending during an ordeal, until she sees Rom break down and starts to cry. 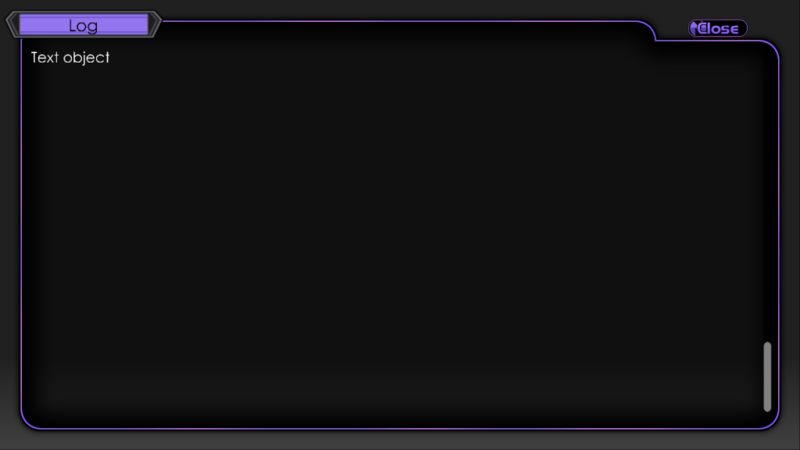 (So… ‘may be Character’ Placeholder) also with description but not sure if i use them. With the great amount of experience she has collected over time, IF is quite a knowledgeable person, but this can make her overconfident at times as a result. She is headstrong, and always plans to finish things her way. Because of this, she does not like doing things that benefit her or her group’s main objectives. Nevertheless, she ends up dragged into things that she does not want to do. Despite being so serious, IF can be sarcastic at times. Compa is a very kind and caring girl with a dream of becoming a nurse, which she takes very seriously. She will always try her best to make sure that everyone is healthy, never leaving an injured person alone to suffer. She can be a ditz at times and clumsy as well, but all in all she cares for everyone no matter what. She is also surprisingly good at Math. Chika, to put it simply, is obsessed. 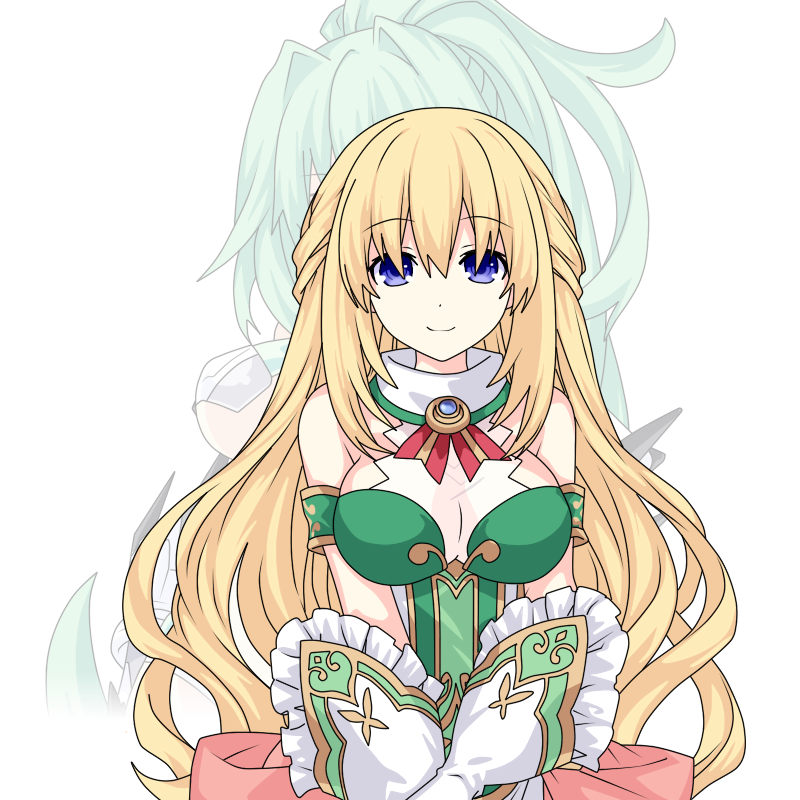 She is obsessed solely with Vert and Beru and no matter what the task is, she will do it for them. However, this can result in her endlessly stalking them. She cares about them more than anyone else in the world. 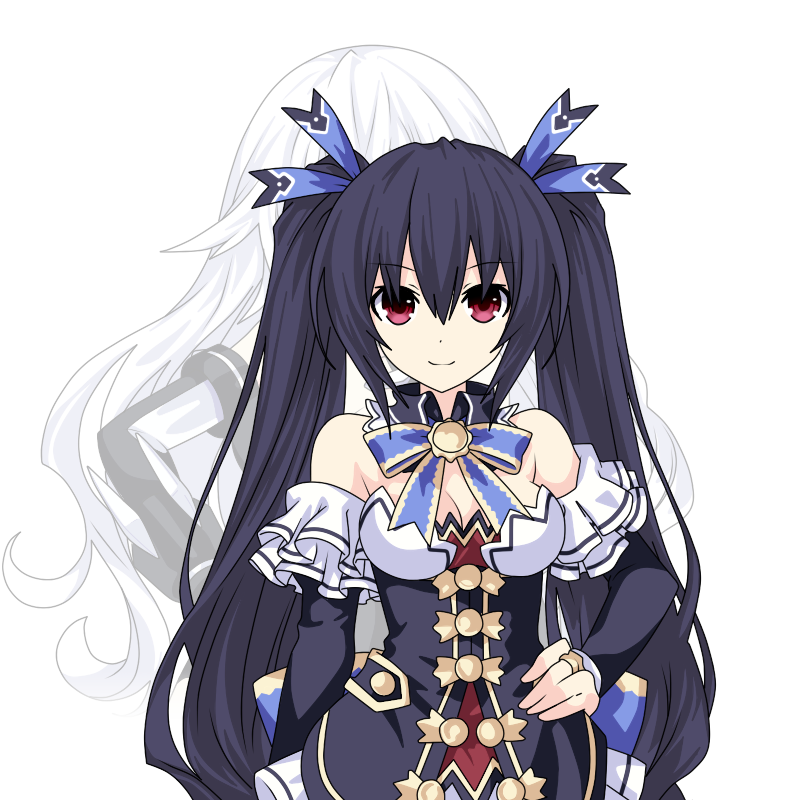 She is known to often be playful and energetic, but can also be serious when it is necessary to do so.